The grapes are all handpicked and arrive in the winery in plastic crates, each containing about 18 kg, within no more than 30 minutes from the time they were harvested. The grapes are loaded onto a conveyer belt where two workers make a first selection, discarding bunches of grapes collected in error (grapes not fully mature or damaged by various kinds of pathogens). The conveyer belt delivers bunches to the de-stemmer, from which the grapes fall onto the sorting table, where any pieces of stem and other leaf or plant matter is discarded. Using a peristaltic pump the grapes are pumped through a heat exchanger, in order to bring down their temperature to approximately 18 °C, into stainless steel tanks containing 7,000 lt. or 15,000 lt.
Fermentation of the grapes takes place due to the action of yeasts that are naturally present on the skins of the grape itself – no selected yeasts are added in any way. At this stage sulphitation using potassium metabisulphites may be necessary, depending on the condition of the grapes. None is needed if the grapes are in perfect condition. If the quality of the grapes deteriorates due to various pathogens caused by unfavorable climatic conditions, then a minimum addition of potassium metabisulphite (max 6 gr. / quintal of grapes) is commonly recommended. Alcoholic fermentation usually lasts 10/12 days. During this time 2 pump-overs are carried out daily, to supply oxygen to the yeast and to extract aromas and color from the grape skins, and from 2 to a maximum of 5 delestages. When the alcoholic fermentation is over, 1 pump-over is done daily until the day before racking. The wine obtained from the grapes harvested in early September is generally racked a few days after the end of the alcoholic fermentation, whilst the ones obtained from the grapes harvested later in September or October macerate for a longer time, up to 40 days from the day they were harvested. When macerating the berries for such long time it is advisable to completely fill the tanks. 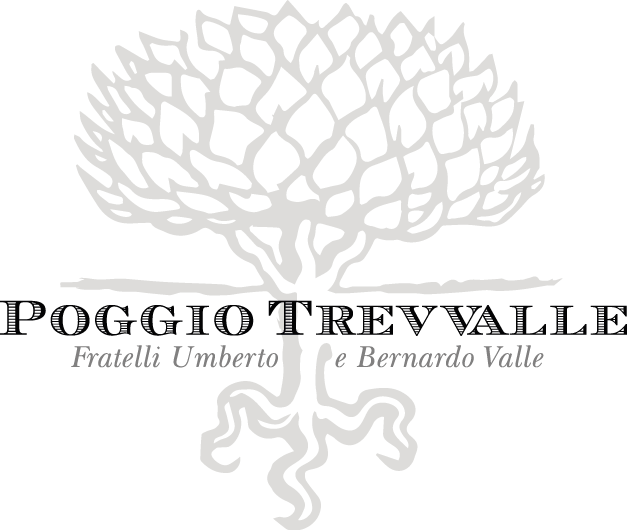 At Poggio Trevvalle this is usually done after 22/25 days from the day the tank was first filled. At the end of the fermentation / maceration period the wine in each tank is racked using a peristaltic pump, separating the free run wine from the skins. The wine is put into ageing tanks (cement tanks) while the skins are placed in a pneumatic wine press by means of the conveyor belt. 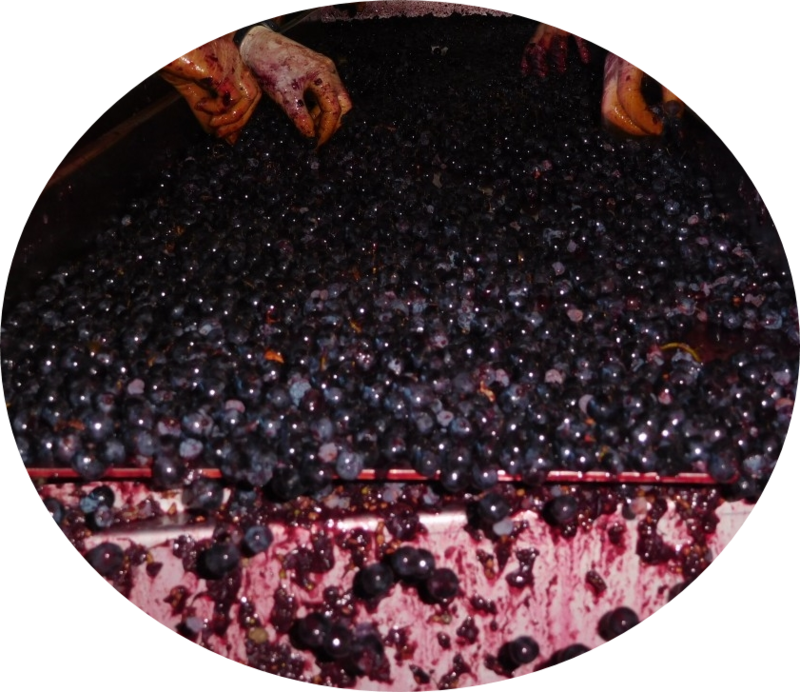 The skins are pressed at a maximum of 1 bar, and the wine produced is pumped to and kept in different tanks to those where the free run wine is kept. All the wines are racked a first time 48 hours to remove the gross lees and then left in concrete vats to wait for malolactic fermentation to start. At the end of malolactic fermentation (usually in November or December) the wines are racked once more and sulphited. Are you of legal drinking age in you country?